Weigh your customers clothes by the pound and charge them a price per pound based on the weight of the clothes. Take the guess work out of pricing with the CAS legal for trade price computing scales with laundry basket. 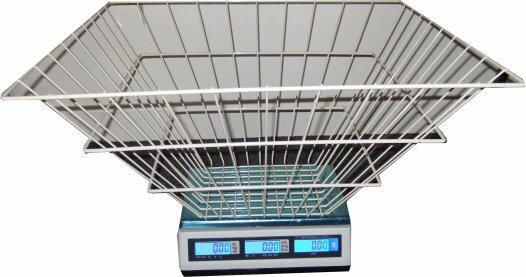 Designed for portable use with AC power and rechargeable battery, the scale with basket is ideal for laundry centers and laundromats. You have found the place to purchase a scale to weigh laundry. Charge your customer's by the pound. Features a 60 pound capacity NTEP Approved Legal for Trade price computing scale with heavy duty laundry basket! Add the optional label printer and labels for a complete solution for your laundry or laundromat business. The laundry basket is a heavy duty metal basket that rests on top of the scale platform allowing you to place clothes inside the basket. 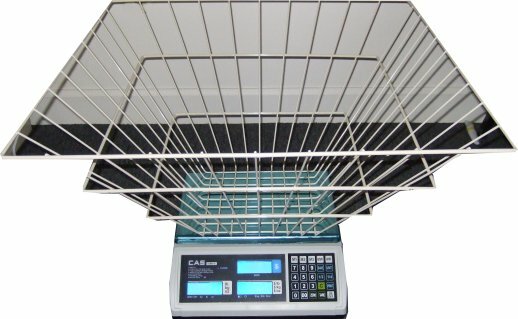 Just place the empty basket on the scale, press tare, enter your price per pound, and then place clothes in the basket. As items are added to the basket the scale will compute the total charges. The certified legal for trade S-2000Jr 60 lb. digital price computing scale with RS 232 serial output is a high quality digital retail price computing scale ideal for charging your customers based on the weight of the clothes. It does a fantastic job of weighing items such as shirts, pants and clothing, allowing you to charge customers by the pound. The scale also features standard 110 volt AC power and by internal rechargeable battery. The scale also has an easy to read LCD display on both the front and back of the unit so customers can see what the weight is and what the cost will be. This scale has an internal lb/kg/oz conversion switch in case you wish to weigh items in kilograms or ounces instead of pounds. Tare weight may be entered using: platter tare, key board tare and tare programmed with a PLU. 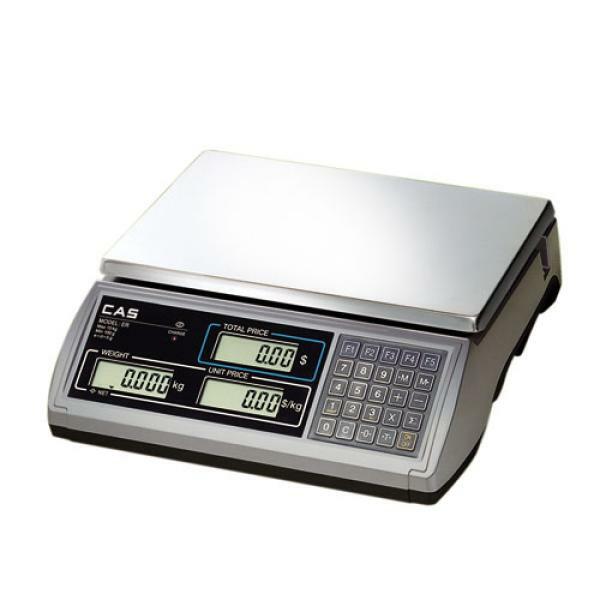 These S-2000 JR scales feature a "dual range" capacity. This is a nice feature that means you get increased readability that you probably wouldn't get on most other price computing scales. For example on a 60 pound capacity price computing scale from most other manufacturers, the scale will increment up/down from zero to 60 pounds in 0.02 lb increments. The 60 lb. S2000 JR displays weight from zero to 30 lbs in increments up/down in 0.01 lbs. Then from 30 to 60 lbs, the scale will increment up/down in 0.02 lb increments. 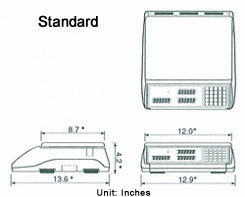 Order the S-2000 JR w/ optional Label Printer and don't forget to add labels!